Pyramyd Gunslynger Competition: This fast-draw bracket-style competition combines speed and accuracy for a fun and challenging event. Competitors, paired up against each other, must knock down the designated targets (standard 1/10 scale NRA Chicken, Pig, Turkey and Ram targets) at varying distances in the shortest time possible. For Gunslynger Competition rules click here. Field Target: Spanning over the course of the entire weekend, the Field Target Competition will feature Open, Hunter and WFTF classes. Whether you are positioned in prone, kneeling, sitting, or standing – the uncertain wind and weather conditions will make striking the “kill zone” that much more challenging. For Field Target Competition rules click here. 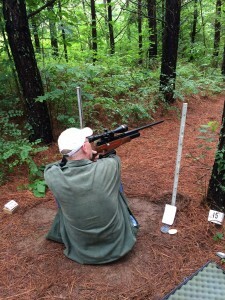 Benchrest: This event provides the ultimate test in rifle (and shooter!) precision. Matches are won by just a few thousandths of an inch. Accuracy, along with factoring in wind, temperature and more elements make this competition a must-do at the Pyramyd Air Cup. Think you got what it takes? Check out the Benchrest Competition rules here. No Payday Challenge this year? Also….no dinner banquet included for the double Gunslynger package like last year? That appears to be the only package that does not include the banquet. A possible oversight? You will be getting an email with forms to fill out with your equipment and class information. If you need to purchase an extra meal or banquet ticket, you can do so on site. Will there be a practice period for FT? Pricing can be found in addition to what each option includes at the above link. Just click “register now” to go to the PA website and order the competition(s) you want to enter into. What time is the pistol match?